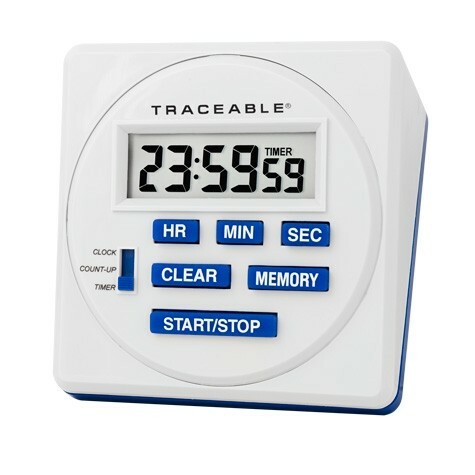 Lab-Top Timer is built expressly for bench use. LCD screen is designed for viewing at any angle (sitting or standing). 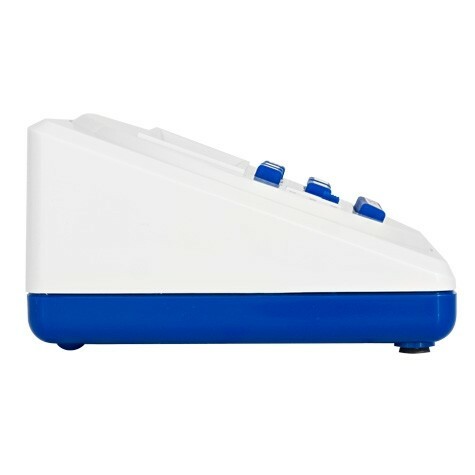 Ease of operation, versatile timing modes, extra-large keys, and the any-angle viewing make this unit ideal for the lab. Counts down from 24 hours to 1 second, in second increments, with an accuracy of 0.01%. Special memory chip allows programming an instant replay repeat time which appears on the display at the touch of a key. Memory time is locked in until changed. 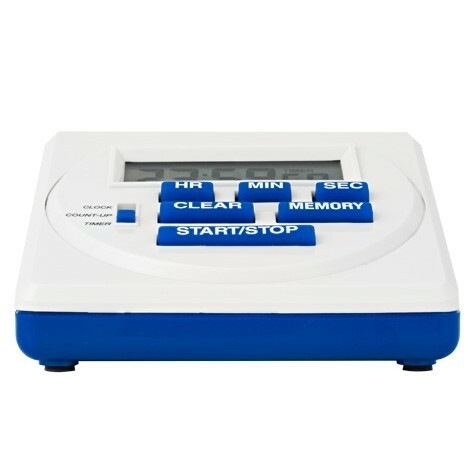 Unit features a count-up (stopwatch) mode and a time-of-day clock. An individually-numbered Traceable® Certificate provided with each unit, assures accuracy from our ISO/IEC 17025:2005 (1750.01) calibration laboratory accredited by A2LA. It indicates traceability of measurements to the SI units through NIST or other recognized national measurement institutes (NMI) that are signatories to the CIPM Mutual Recognition Agreement. 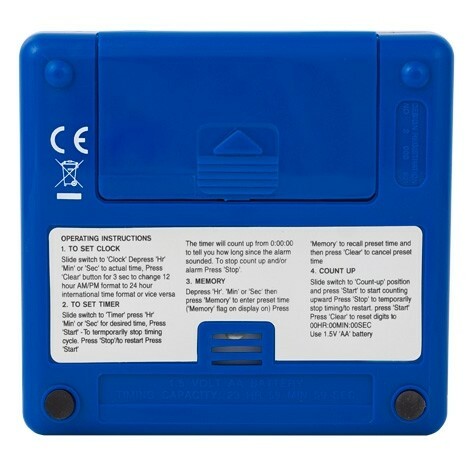 Supplied with a Traceable® Certificate and a 3-year battery. Size is 3-1/4 x 3-1/4 x 1-3/4 inches. Weight is 4 ounces. Replacement battery Cat. No. 1111.